Palmer was elected State Judge of the District Court in the first state elections held in 1857. (History of Ramsey County and the City of St. Paul). During his term, Judge Palmer presided over the trial which lead to Minnesota’s first execution of a white person (and only woman to date), Ann Bilansky, who was convicted of murdering her husband. (Legacy of Violence: Lynch Mobs and Executions in Minnesota). Judge Palmer also presided over the trial testing the constitutionality of the 1862 Minnesota “Rebellion Act,” which suspended “…the [p]rivilege of all persons aiding the rebellion against the United States, of prosecuting and defending actions and judicial proceedings” in Minnesota. The Judge held that the Act only temporarily suspended the right and did not take it away permanently. Further, Judge Palmer held that the unstable situation among the states at the time justified an act whose purpose was to suppress the rebellion threat. (Minnesota History, March 1956) Judge Palmer remained the sole District Court judge until succeeded by Westcott Wilkin in 1864. (History of Ramsey County and the City of St. Paul). 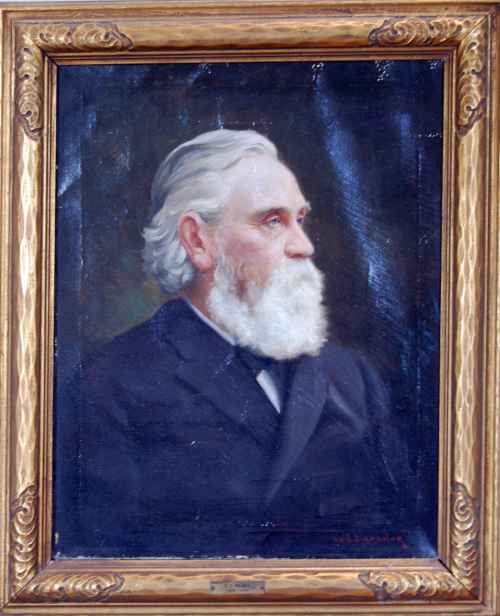 The Law Library has on display judicial portraits of past Second Judicial District Court judges, going back to 1857. If you have any information or commentary about Judge Orr, please leave a response or send us an e-mail. To view the portraits in person, visit us on the 18th floor of the Ramsey County Courthouse.